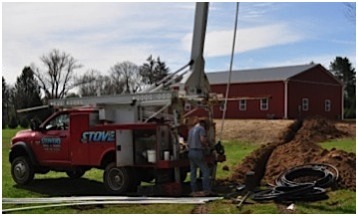 Stover’s Wells and Pumps installs and repairs all makes of water pumps in Hunterdon, Mercer, and Somerset County NJ. We put 3 generations of experience and expertise to work in providing optimal solutions to any pump related issue. Our family business will honestly diagnose your pump problem, and work with you to affordably resolve it by providing the full array of available solutions. You can trust Stover’s for all your water pump installation and repair needs! Our experienced team will thoroughly inspect your pump and water system to provide accurate feedback on the available solutions. For over 68 years our small family business has given truthful evaluations and fair prices, combined with first class service. Count on Stover’s for water pump diagnosis and repair. Fixing it could be as simple as turning a valve or complex as intricate pump repair or the need for well deepening. In every case you can count on Stover's to provide the complete range of services necessary to accurately diagnose and solve the problem. Jet Pumps: Reside outside of the water well and are most commonly used in conjunction with shallow wells. Jet pumps utilize a mechanized suction system to draw water from your well into a holding tank where it is stored until you call upon it for use. Submersible Pumps: Highly efficient and often used in deeper wells where the water table is further underground. They preform virtually the same role as jet pumps in moving water into the holding tank, but reside inside (at the bottom) of the water well. After 68 years in business we’ve seen and heard it all. We pride ourselves in effective phone support and are often able to diagnose problems over the phone! Whenever possible, we’re happy to save you time and money if any easy resolution is available. Call Stover's Wells and Pumps when you have a water emergency or even general questions about your water system! Stover’s Wells and Pumps provides a wide array of water supply and water quality services. 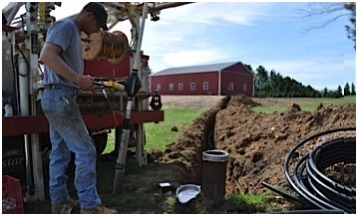 Learn more about our water well and water treatment services. 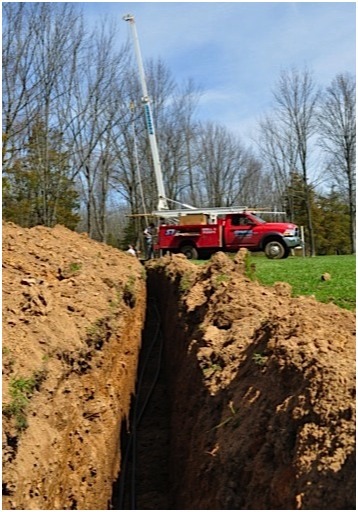 Stover's Wells and Pumps provides expert well pump services in Central New Jersey, including: Hunterdon, Mercer, and Somerset Counties. Learn more about our well, pump, and water conditioning services.